5. 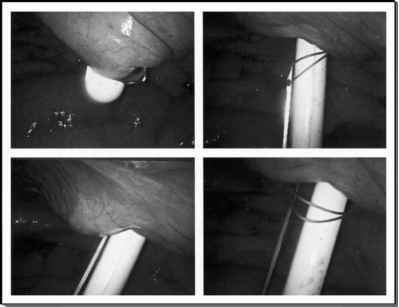 Specimen retrieval: Once the bladder is fully excised, it is placed into a laparoscopic retrieval bag. In female patients, the specimen can be retrieved immediately through an opening in the anterior vaginal wall. In male patients, the specimen bag can be placed aside during the next steps of the operation. Once the abdomen is incised for creation of ileal conduit, the specimen can then be removed.